Linux is everywhere. From desktops to laptops, from tablets to mobiles, and from servers to garden sprinklers. Wait! Garden what? Yes, that's right fellas, Linux-powered garden sprinklers do exist. Being a very customizable and open operating system, Linux has found itself being used in places even Linus Torvalds had never expected. Here are five such bizarre uses of the world's most trusted operating system. Do you have a garden? Do you forget to water your garden? Do you have Linux? Are you a born nerd who hacks a lot of things? If answer to all the above questions is yes, then this next hack is something you might fight useful. Apparently, some really smart guy who forgets to water his garden, has managed to make an electronic garden sprinkler automatic using the sheer power of Linux. He uses a standard electric sprinkler valve and garden hose adapters to control the flow of water using a parallel port based C program in Linux. The scheduling part is done by running a cron job. If you're interested in making one for yourself, then take a look at the guide published HERE. Well this one is certainly not bizarre in a bad way. Yet, it does make your jaw drop a little. 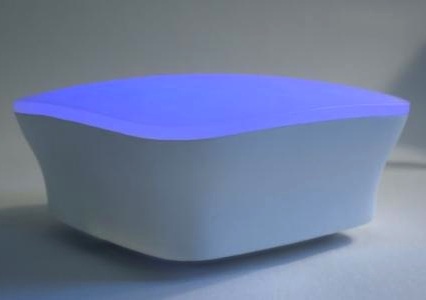 Emotional lamp is a Wi-fi connected device that can be programmed to respond to real-world events by emanating sequences of gentle color. So, when you get a large number of emails and the sheer number of annoying notifications give you a headache, then, Dal lamp is something you should consider buying. Being Linux-based, the lamp is highly customizable with built-in functions like multi-day weather forecasts, stock market monitoring, receipt of large number of emails, web site updates and more. Personalized interactions are also available, allowing authorized friends to interact with Dal lamp through Email, SMS and their own lamps. The awesome part of this lamp is that it communicates to the other wireless devices using telnet. Dal lamp runs on 2.4.20 Linux kernel on a custom Debian Linux build along with custom software written in C.
1 Tracks and records every pour in a database -- know exactly how much is left in your keg. 2 Temperature sensor recording -- know how cold that beer is. 3 Multi-user authentication system -- use a variety of possible devices (RFID, iButton, PIN, etc) to "log in" to your beer tap. Know who is pouring and when. Also, do check out the project's main webpage HERE. From rocking your baby to plain rocking out, Linux does it all. Misa Digital guitar is a new innovation aimed at amateur guitarists who want to learn the guitar without getting their fingers hurt. The fun part is that Misa runs on Gentoo Linux and relies on a dedicated MIDI sound model. The goal of this digital guitar is to make a minimalist interface for people who want to learn the guitar while removing all complexities that come with the original instrument. 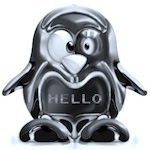 If you know of other interesting and bizarre uses of Linux, you may share them with us via comment. That was a great review, definitely had a few of us in the office laughing.